From the alarming economic concerns outlined in 2018’s National Climate Assessment to the recent bankruptcy of PG&E related to the California wildfires, it’s clear that the economic impact of climate change is already taking effect. While we typically view climate change as an environmental and humanitarian fight, economists and corporations are grappling with what could become an economic meltdown caused by climate change. We highlighted some of the most recent and underreported effects of climate change on the U.S. and global economies. Just as we fight for the widely agreed-upon scientific findings behind climate change, we have to recognize the economic impacts, as well. For example, increased droughts affect farmland productivity and rising sea levels can cause water damage on coastal infrastructure, both of which have costly implications. One way economists want to combat these costs is through a carbon tax. For them, taxing carbon emissions today can act as an investment for future generations. Who should pay for the costs of climate change — the wealthier countries that caused the overuse of fossil fuels, or the developing countries that are currently emitting the most carbon? That’s the 30 TRILLION DOLLAR question! Climate change may be a global issue, but evaluating the economic inequities of climate change in poorer versus wealthier countries is an important step in taking action. While climate change is a global issue, the economic impact it’ll have on different states — even different counties — across the country is important in addressing how local economies should prepare for the effects of climate change. 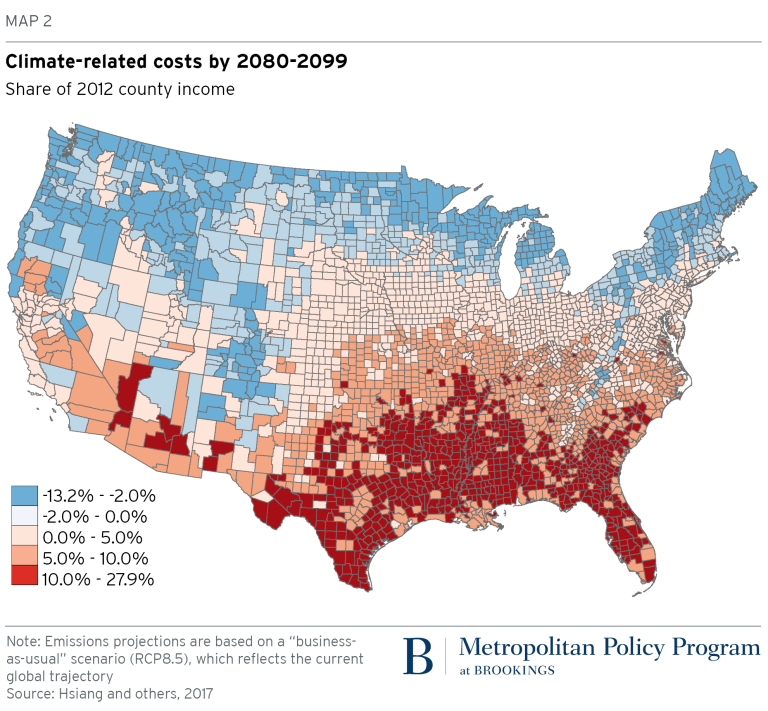 Based on county-specific data from the Climate Impact Lab, economic loss due to climate change is concentrated around southern states where they should expect loss in agricultural yield and in high-risk labor as well as an increase in mortality rates. The California power company PG&E is “the first major corporate casualty of climate change,” but certainly not the last. Investigators found PG&E responsible for starting at least 17 of the 21 major state fires in 2017, the effects of which were exacerbated by warmer and dryer temperatures. The cost of climate change is no longer something to look out for in the next 100 years or few decades — it’s already dismantled a major power company and is just one example of how climate change can become corporate America’s biggest business adversary. 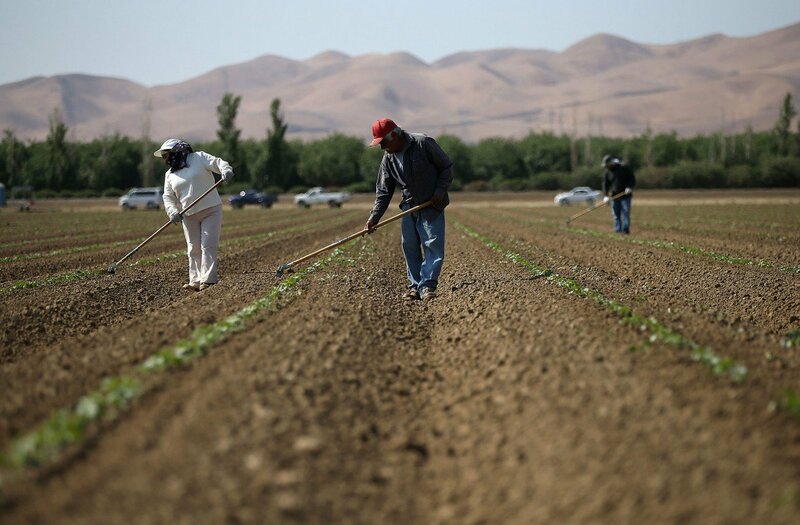 The costs of lower labor productivity under soaring temperatures could reach as much as $221 billion a year in the United States by 2090, making it the largest category of potential economic damage from climate change. Previous Post Induction Cooking is Eco-Friendly, But Can We Afford It?